To unwind is divine. 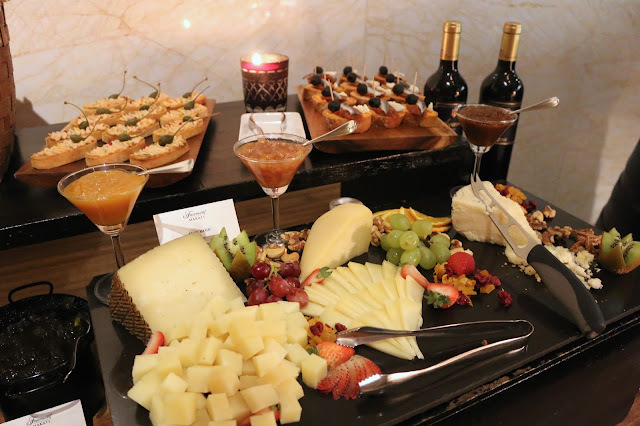 To enjoy great food with wine is even better. That is what FAIRMONT'S newest offering is all about. At the FAIRMONT LOUNGE, a welcome treat is prepared for guests and patrons. 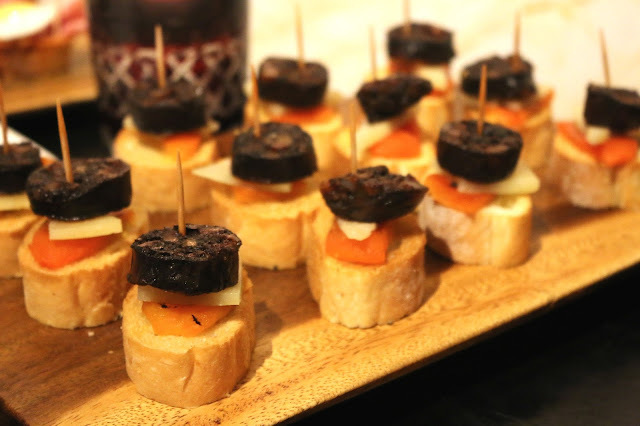 The TAPAS Y VINOS. 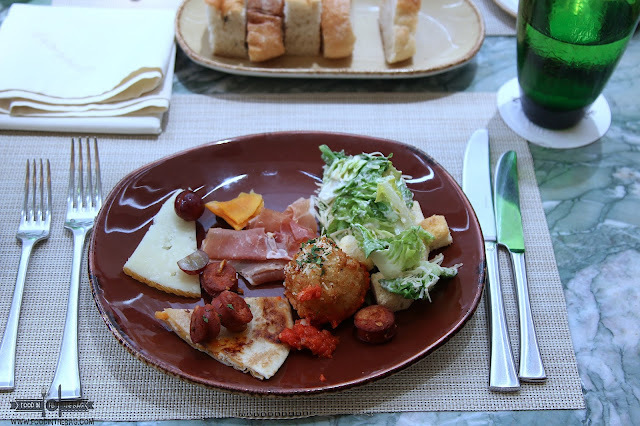 An amazing spread of tapas and other dishes were brought out by the kitchen to impress the diners. 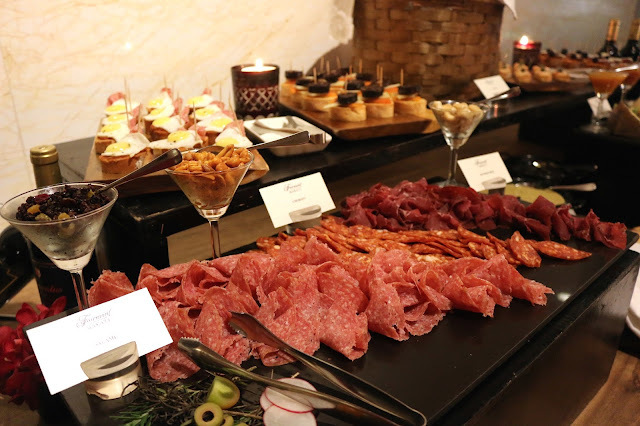 Different cuts of meat, cheese and even cocktail snacks were laid out. 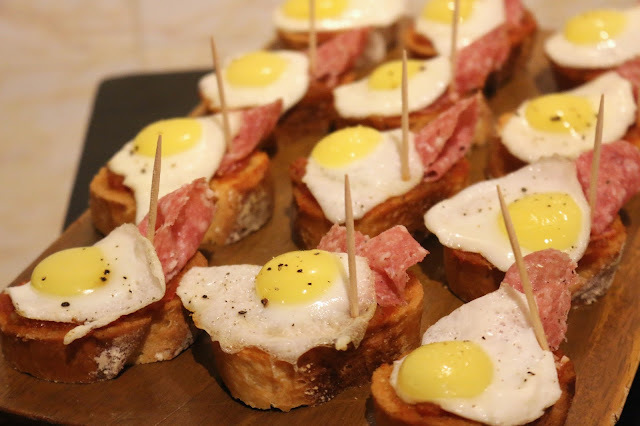 Prosciutto with quail eggs and blood sausages are but a couple of example of the tapas that THE LOUNGE at FAIRMONT SERVES. You realize the quality and the effort to create these dishes with each try. The bread is freshly made in house and is still crunchy. The ingredients are hand picked to give you that amazing eating experience. 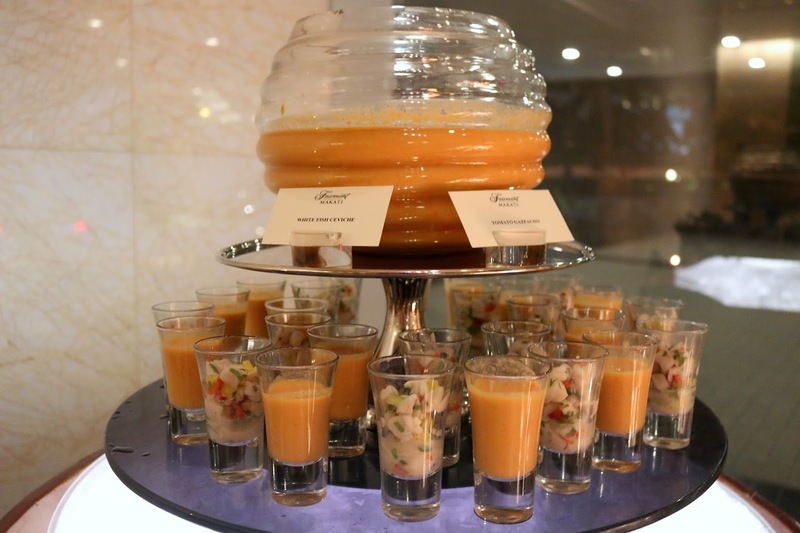 After a bite or so, go for the freshly made ceviche and the tomato gazpacho. These will definitely shake your taste buds and wake them up. 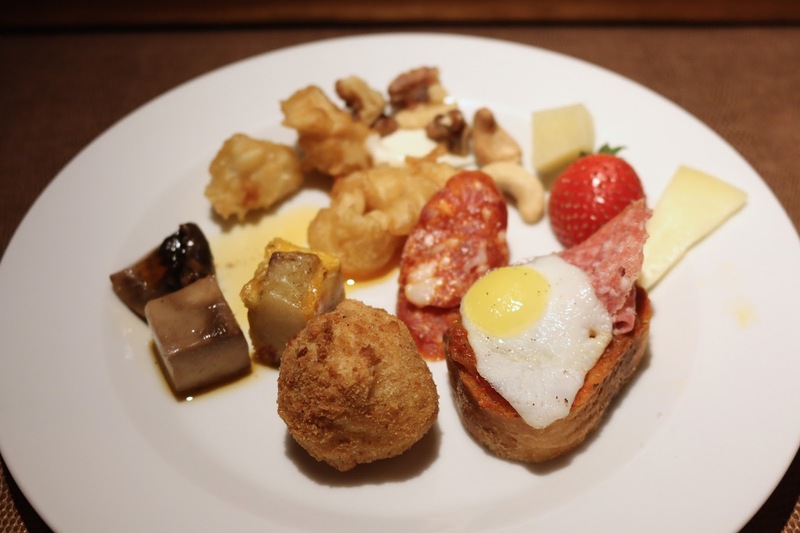 A few deep fried items were also on the buffet spread. 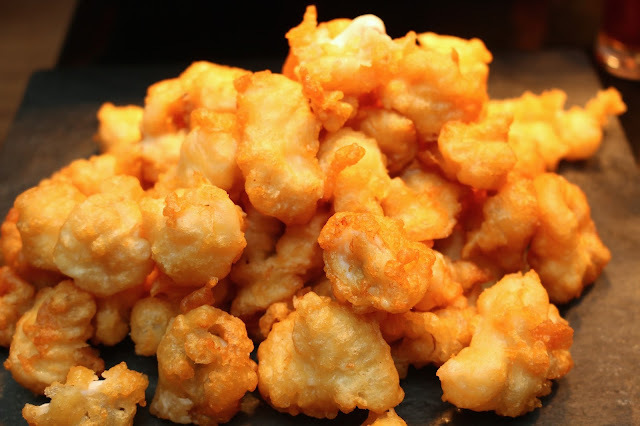 Special mention must be given to the fried calamares. These aren't those run off the mill versions. Rather, each bite would make you swoon with delight. The coating is perfection and there is no rubbery texture to greet you. It is just amazing. Accompanying this dish would be equally delicious croquettes. 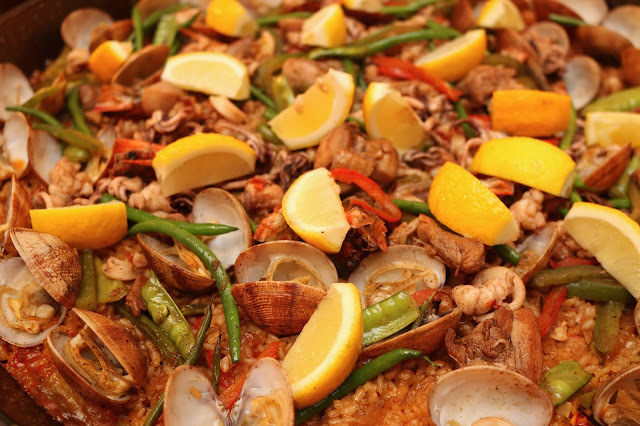 Not to be missed, the classic paella is served on top of a huge pan. The flavor is spot on. Partner this with the fabada or the ox tongue and you'll ask for more. 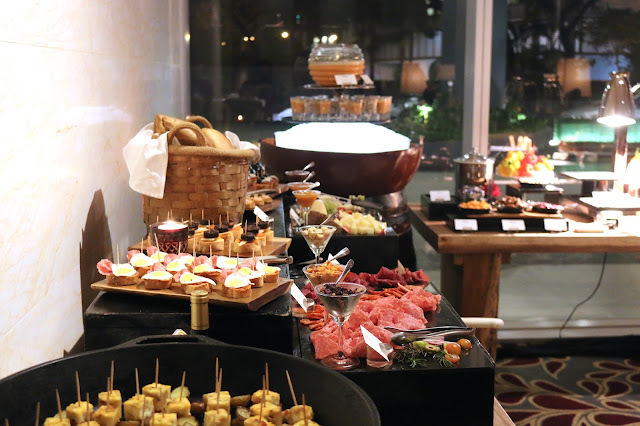 This buffet comes with an endless supply of Spanish Red and White wine too. 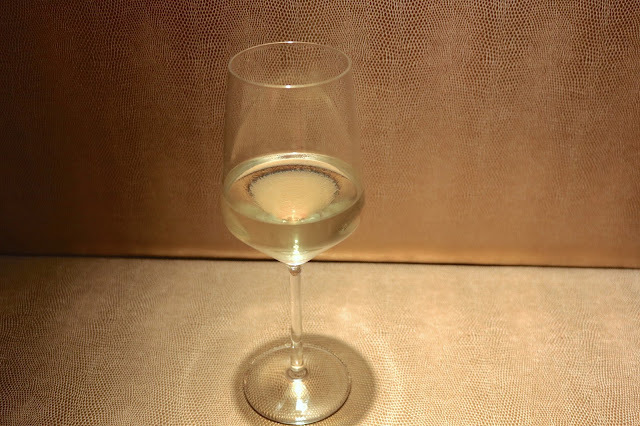 Making the promotion a no brainer for wine drinkers and food lovers. 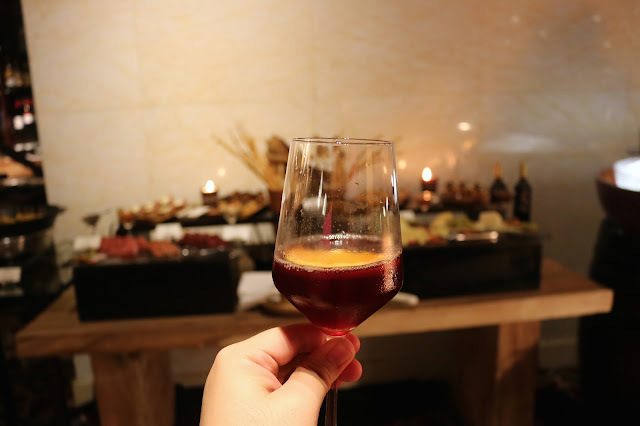 With all that is said and done, visiting FAIRMONT MAKATI for their Tapas and Wine would surely make your night sweet and delightful. "Enjoy with good company at PHP 1,200 net per person. The TAPAS Y VINOS is offered from September 1 until October 31 from 6pm to 9pm daily. For inquiries and reservations please contact Fairmont at (632) 795 1840 or email dining.makati@fairmont.com "